How to change port of SQL Server? In this blog post we are discussing how to change default TCP/IP port of SQL server. The default port number for SQL server is 1433 but you can set it to some different port. Please follow below steps to change the SQL server port. Step 1: Open SQL server configuration Manger. 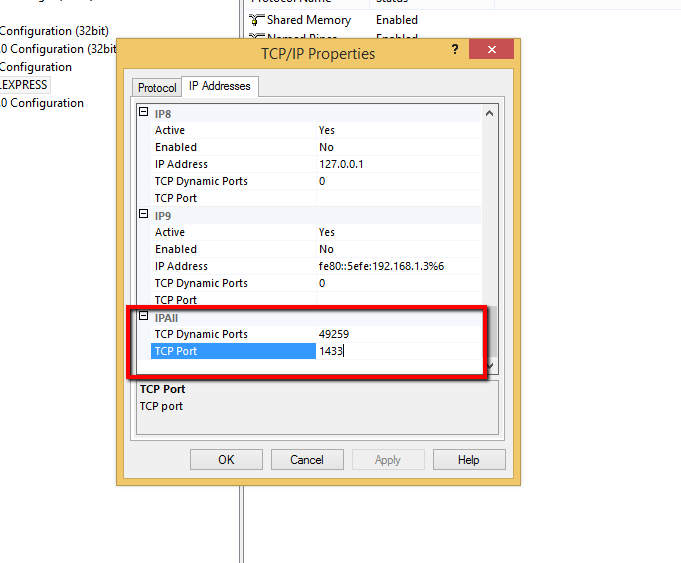 Step 3: Double click on TCP/IP. A new property window will pop up. Step 4: Select IP Addresses tab & scroll down to its bottom. 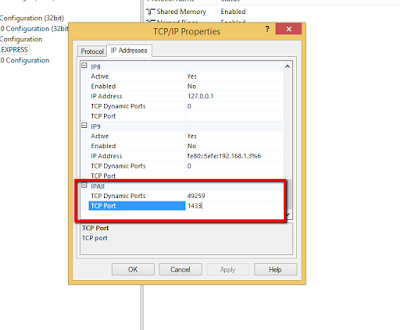 IPALL section is appears change the TCP Port to something else. Step 6: Start login in SQL server. Here I changed my port to 1600. Here I am attaching a video that is helpful to change the port.